The lightest, most compact full sized travel cot that is lighter than the baby! The Traveller is the only travel crib that is fully safety certified and complies with oeko-tex standards. Assembles in minutes and packs up into a small zippered bag. Fits in virtually any overhead compartment, drawer, closet, shelfâ€"you name itâ€"traveling with baby is a breeze! Feather light at only 7lbs! Recommended Age: Newborn to 3 years. Ideal for home and away. 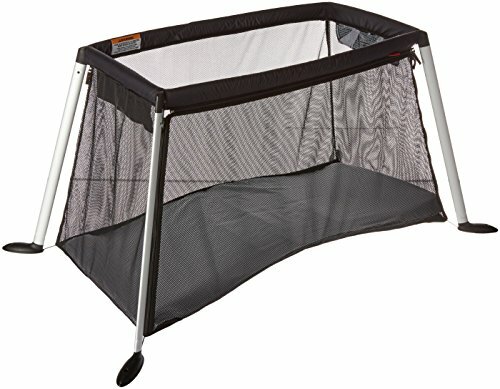 Cot/crib and playpen in one! 54 x 33 x 26 inches; One sheet included. Mesh top and extra sheets available for purchase.